Happiness is not a matter of intensity, but of balance, rhythm and harmony. If you have ever taken a yoga class or if you regularly practice, you may have noticed the calming and balancing effects of yoga. Yoga is a way of self-care, allowing you to take time for yourself, to recover, and to reflect. Many people in my classes tell me they are looking for more rest and relaxation in their life. This illustrates the pattern in our 24/7 society, in which people tend to go on and on, crossing their borders, which is a risk for burn-out: a reaction to chronic stress characterised by deep exhaustion, physical tension and continuous fatigue. Here you can find some advice for the recovery and prevention of burn-out with the help of yoga. Practicing yoga is a very good way to prevent burn-out. In yoga, you learn how to balance effort and relaxation. 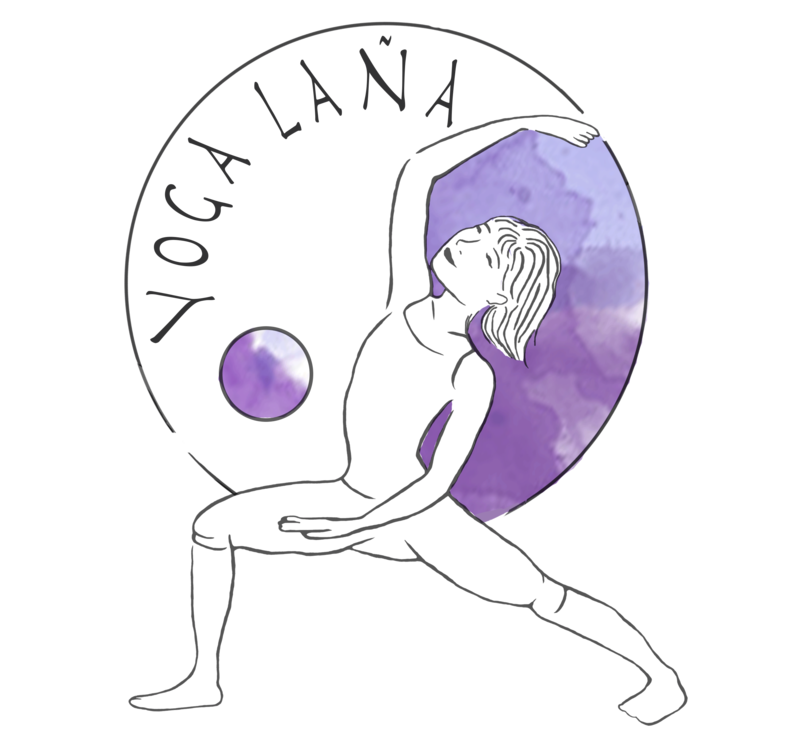 Most asana classes include active postures or dynamic flow as well as relaxing poses or calming practices, such as breathing exercises and meditation. You could translate this principle to daily life: alternating activities that cost energy with moments to recharge. You need breaks to be able to work effectively – you can’t be working on a non-stop basis. It is important to listen to the signals of your body and mind; they will let you know when it’s time to pause. In a yoga class, you may feel your breath is stopping or your limbs may feel heavy. At work, you may notice your concentration is fading away or you start making mistakes. All of these are signals not to be ignored – a small break, whether it’s resting for a moment in child’s pose or making yourself a cup of tea, will allow you to fill up the battery and resume your activities when you feel sufficiently clear and energized again. There is also profound evidence that yoga balances the stress system at the physiological level. Practicing yoga affects the autonomic nervous system – which maintains the balance, homeostasis, in your body. It can be divided into two branches: the sympathetic system, which is involved in activity, and the parasympathetic system, responsible for resting and digestion. The autonomic nervous system switches between sympathetic and parasympathetic activity, depending on the situation. You can activate the sympathetic nervous system by strong breathing and muscle training, while the parasympathetic system is stimulated by slow breathing and relaxation exercises. In a balanced yoga class, you teach your body how to switch between the systems effectively. When you notice chronic stress in your life, you may benefit more from a gentle yoga class, as this will balance the dominating pressure and tension in your daily life. Thus, you can also adjust your practice to your own needs. In this respect, the area of yoga therapy can help you to recognise your own patterns that may make you vulnerable to developing burn-out. Yoga is more than the physical practice of asanas; it encompasses a broad range of mind-body techniques, which can be helpful in developing self-knowledge and cultivating a balanced lifestyle. Mindfulness is a good example, that many people know nowadays – it is a mindset of awareness and compassion, which encourages you to observe your own behaviour and thinking and reevaluate your habits if necessary. For example, if you tend to cross your own borders, maybe to help others or to achieve your ambitious goals in your life, you may notice the effect on your body and mind. And then you can decide to take it a little slower, to enjoy the small things, that it’s okay to say no sometimes, to be happy and content with who you are. On the other hand, if you have a tendency to get stuck in negative thinking, you may realise that this keeps you in a vicious cycle, which you could change through focusing on the things you are grateful for. These are just two examples that I hear a lot; it’s very personal what patterns affect you as an individual. However, the broader idea of yoga philosophy can be helpful for anyone, both to prevent and recover from mental health problems such as burnout. In short, yoga teaches you to take care of yourself, with the help of body and mind practices. It’s a holistic perspective that helps you to find and maintain balance in your life. Whether you want to prevent or recover from burn-out, the most important principle is to balance effort and relaxation. Just stepping onto your mat regularly is a very good start to reduce stress, and you may discover there’s a lot more in the world of yoga that is helpful to you. If you have any questions on this topic, please don’t hesitate to contact me. I’m always happy to help. For a more in-depth understanding of yoga therapy, you are welcome to join my workshops and courses that I offer regularly.